← Diamonds – A girl’s best friend ? With the birth rate dropping year after year, it is time for all of us “youngsters” to think about it. I’ll post here as support some baby photos and a good news I’ve read on BBC News Asia Pacific. News says Japanese government will increase support for child-care services. View the fashion-addict Japanese society, i think Mr. Abe has good chances to succeed it he puts that money into a clever marketing campaign, to Japanese women, for babies and marriage as a “new” fashion. 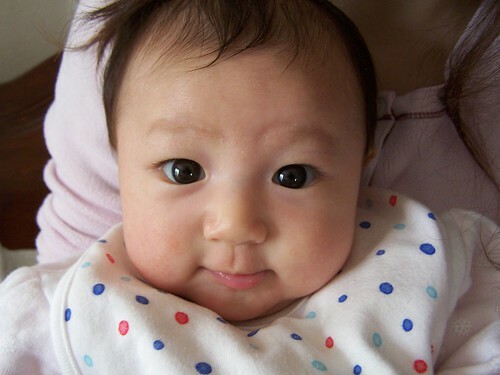 Japan has seen a rise in its birth rate for the first time in six years, government statistics show. The number of births for 2006 has been estimated at 1,086,000, an increase of 23,000 from a year earlier. But the health ministry expects the rate to fall this year and continue a downward trend that may see a 30% drop in the population in the next 50 years. Japan has the highest number of elderly people and the lowest number of young as a percentage of its population. Prime Minister Shinzo Abe has pledged to bring in policies that will prevent the falls in birth rates. The falls have raised serious concerns about the country’s future economic growth and how it can fund its pensions. The fertility rate – the average number of children a woman bears in her lifetime – was expected to be 1.29 in 2006, compared to the record low of 1.26 in 2005. However, a rate of 2.1 is needed to prevent a population drop, analysts say. Marriages were up last year amid economic recovery – estimated at 732,000, 18,000 more than 2005. A ministry of health report last month predicted the current population of about 127m could sink below 90m by 2055. By that date the proportion of the population aged above 65 is set to double to 40.5%. Mr Abe unveiled a draft budget last month that sought to increase support for child-care services. si pe la noi ar trebui sa se faca ceva. cica, in cativa ani, nr populatiei va scadea cu cateva milioane…trist, nu? vom ajunge o lume cu din ce in ce mai putina copilarie si putin cate putin mai multa batranete. Japanese flavour babies? What do they taste like? Her father has finally left the hospital last week.